The Peninsular war is probably the campaign when the British Army came of age. The Portuguese government having been ousted by a French army and French troops treacherously taking control of Spanish fortresses, despite being allies, led to unrest, which finally boiled over when Napoleon usurped the throne of Spain for his brother Joseph. The Spanish and Portuguese populations broke out in insurrection and asked for British help to oust Napoleons forces. So began a campaign of six gruelling years which helped to turn the tide against Napoleon and saw the meteoric rise to fame of one General Sir Arthur Wellesley, better known to the world as the Duke of Wellington. His small British army bolstered initially by German (raised from those who fled Napoleons conquest of their countries) and Portuguese troops and later still by Spanish troops, eventually pushed the French out of Spain and even invaded southern France before Napoleon was forced to abdicate by the combined forces of Austria, Prussia and Russia invading France from the east. The Letters of Lt. Colonel Sir John Cameron, 1st Battalion 9th Foot, 1808-14. In Wellingtons Support Services , The memories of Conductor of Stores George Augustus Aynge, in the Peninsular War, with further references to his father Master Gunner George Aynge, Royal Horse Artillery. From Corunna to Waterloo. The letters and Journals of Two Napoleonic Hussars 1801-16. 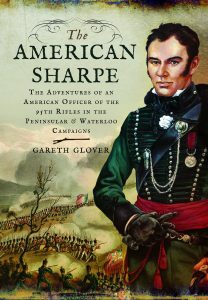 A Life Guardsman in Spain, France and at Waterloo, the memoirs of Sergeant Major Thomas Playford, 2nd Life Guards 1810-30. 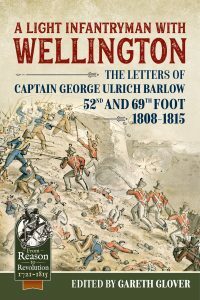 Wellingtons Voice, The candid letters of Lieutenant Colonel John Fremantle, Coldstream Guards 1808-1821. A Staff Officer in the Peninsula and at Waterloo. The Letters of the Honourable Lieutenant Colonel James H Stanhope, 1st Foot Guards 1809-15. 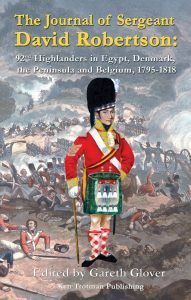 A Young Gentleman at War, the Letters of Captain the Honourable Orlando Bridgeman 1st Foot Guards, in the Peninsula and at Waterloo 1812-15.
Letters from Egypt & Spain. By Lieutenant Colonel Charles Morland 12th then 9th Light Dragoons. The Letters of 2nd Captain Charles Dansey Royal Artillery 1806-13. The Corunna Journal of Captain CA Pierrepoint, AQMG. Wellington’s Lieutenant Napoleons Gaoler. The Peninsular letters & St Helena Diaries of Sir George Ridout Bingham 53rd Foot. The Letters of Captain George Henry Dansey 88th Foot 1804-18. Ensign Carters Journal 1812. 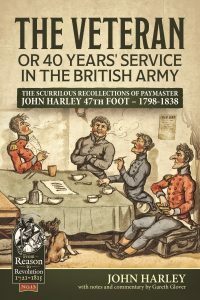 The Peninsular diary of Ensign John V Carter 30th (Cambridgeshire) Regiment of Foot. The Peninsular & Waterloo Letters of Captain George Bowles of the Coldstream Guards 1809-15. The Texas Papers – A Collection of Peninsular war Letters by Various Senior British Officers held at Rice University, Texas.